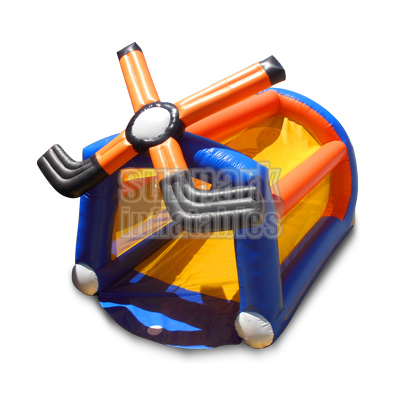 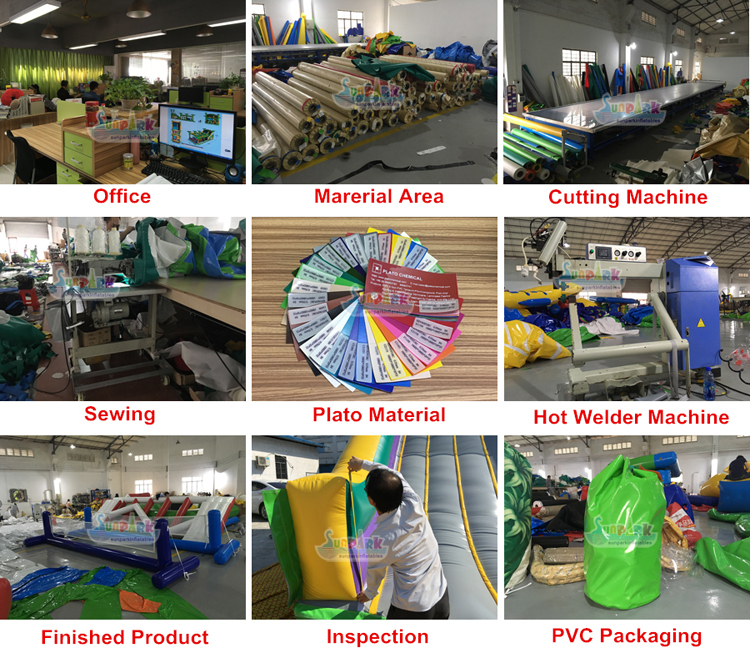 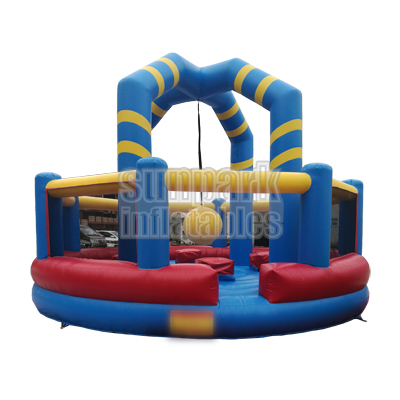 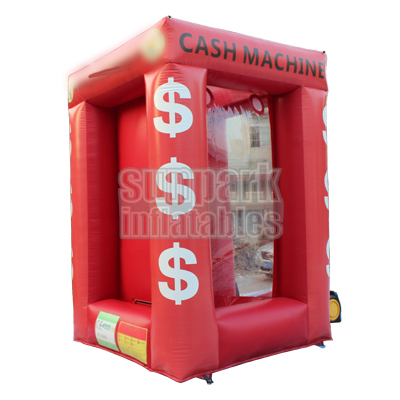 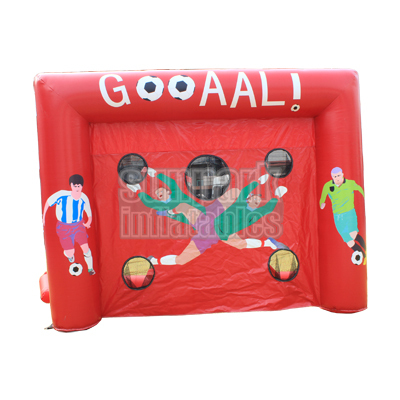 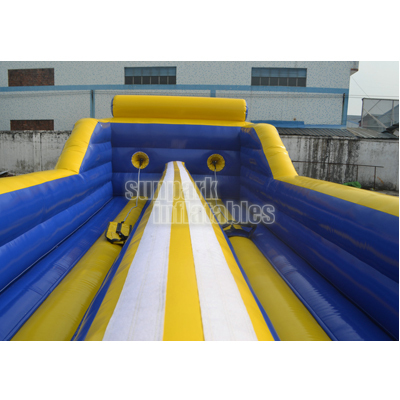 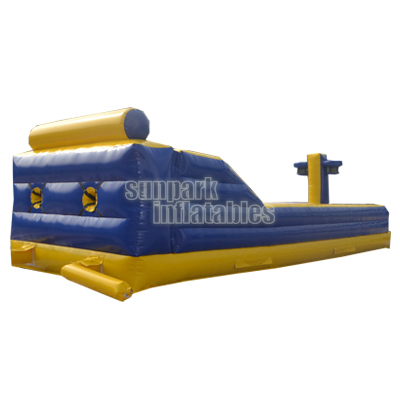 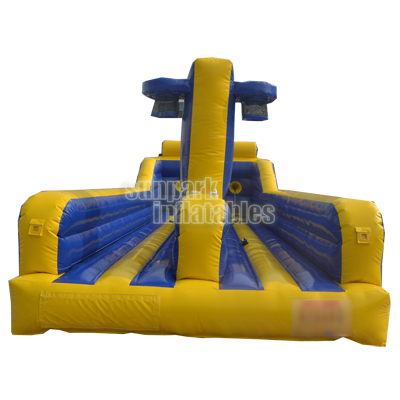 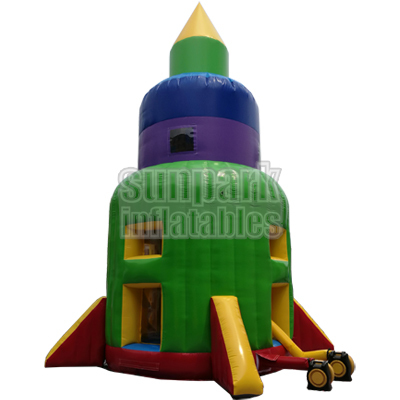 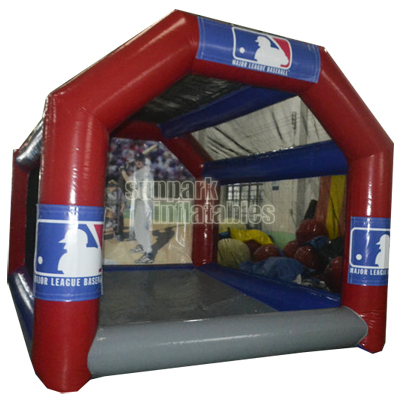 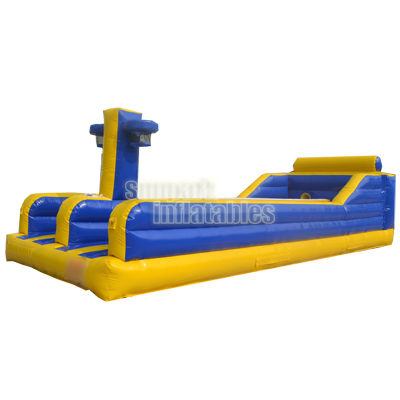 The Bungee Run Basketball Inflatable is an interactive game for both children and adults. 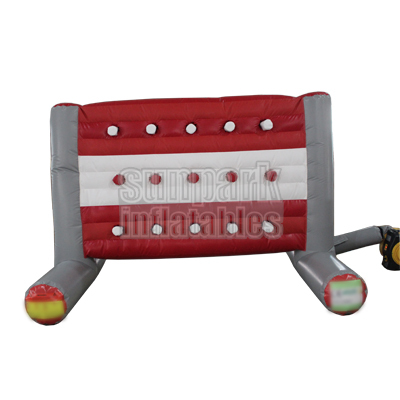 The players wear upper body harnesses which are connected to the Inflatable unit with a bungee cord, much like a large rubber band. 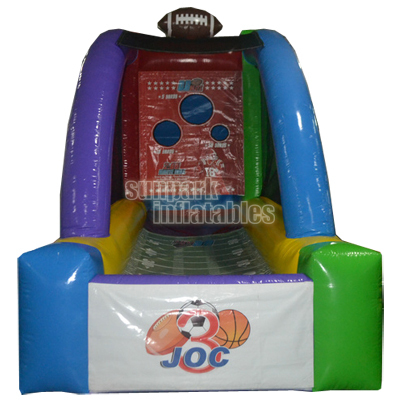 They run down to the edge to see who will put the ball in the basketball first.